Rollcentre Racing are putting their pair of Radical SR9's up for Sale. The team are changing class, but staying within the Le Mans family. 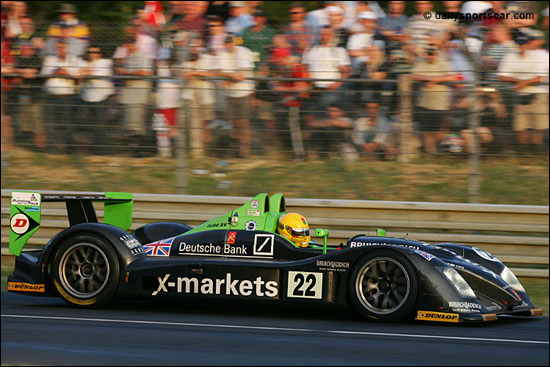 "Rollcentre has been presented with an exciting proposition for 2007, and we will be moving back into the LMP1 class. It is though, still regrettable that we will have to part with our Radicals, as they have been sensational from the first time they hit the track. We do feel that there is unfinished business with them, but we must race where our sponsors want to be, and that’s with LMP1, and we are very excited about that. “ The pace of the Radical has been unquestionable. Our first car has led every race of the year bar one. We have hit the front twice from the very back of the grid. The reliability has suffered with new car teething problems, though nearly all of them due to problems with starter motors and ring gear......... now fixed. “ The car has always been very simple to set up, and extremely kind on its tyres. At Jarama we went from almost a lap down at the start of the race to leading it by over a lap, 2 hours later, largely due to the car having a tremendous race pace, and using one set of Dunlops to the Lola’s two sets of Michelins or Dunlops..... We never really worried about qualifying pace, the race always came to us with speed and fuel economy with the Judd, and consistency and secure handling from the chassis and tyres. “ The cars will come with all the tweaks and modifications that we have made, along with set ups and spares. We can offer the cars separately or together." 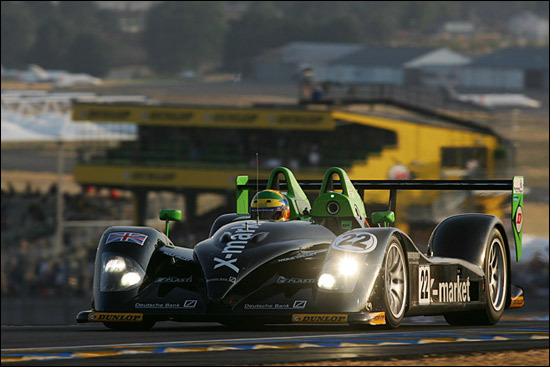 As campaigned by Rollcentre Racing at 2006 Le Mans and Le Mans Series. Unquestionable performance with the ultimate prize there for the taking. Car #1 is offered fully rebuilt and ready to run (this car having completed the 2006 season). The car will be able to test and is ready to run. Price On Application. Car #2 is a 'new' car which is currently being assembled ready for prospective purchasers. The car can also be bought part assembled to help with pricing. Price On Application. It is possible that Rollcentre could run a car for the new owner.